Annalist is a tool that aims to make it easy for researchers to create and modify Semantic Web data. Exploring semantic / linked data structures for creating end-to-end descriptions of music production, distribution and reception. Currently focused on performance and reception. Annalist is a tool that aims to make it easy for researchers to create and modify Semantic Web data. 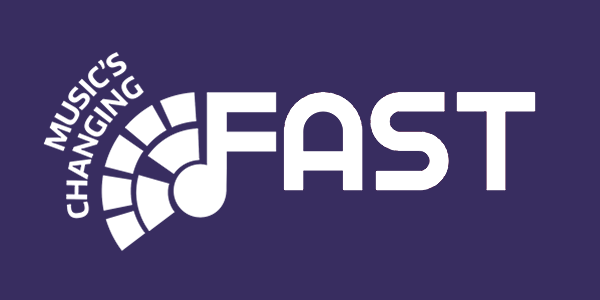 It has been used within the FAST project to explore use of existing linked data vocabularies (CIDOC CRM, PROV, FRBRoo, MO, etc.) 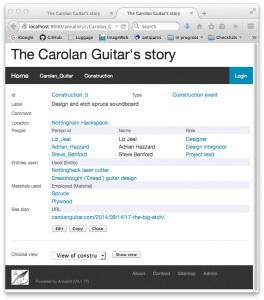 to create descriptions of music-related events, and associated artifacts, people, places, compositions, etc. 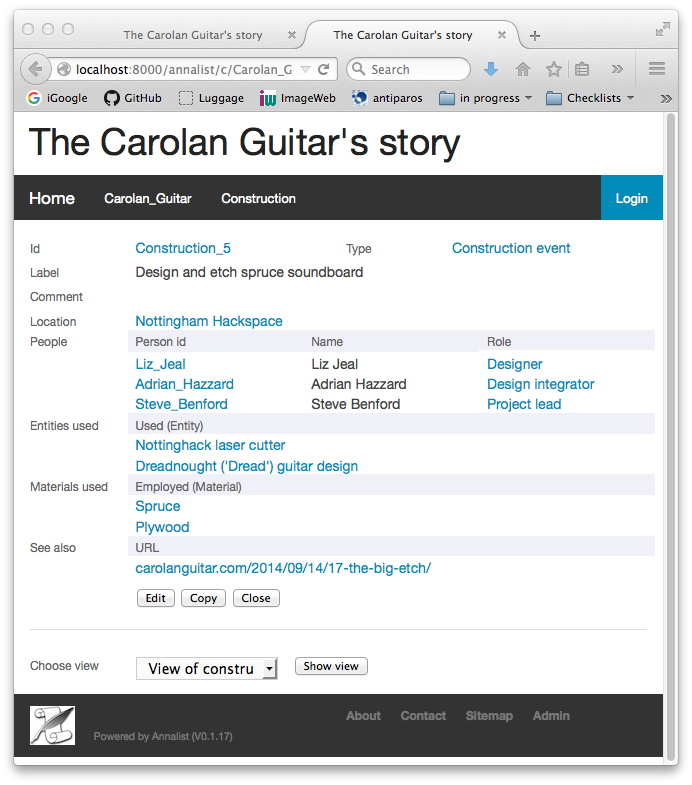 Specifically, we have created linked data models for: (a) modeling the Carolan Guitar’s story, (b) describing (live) performances, (c) MELD data for connecting stages in performances of Climb!, (d) Musical instrument data used by SOFA, and (e) describing the process of creating an artistic work. 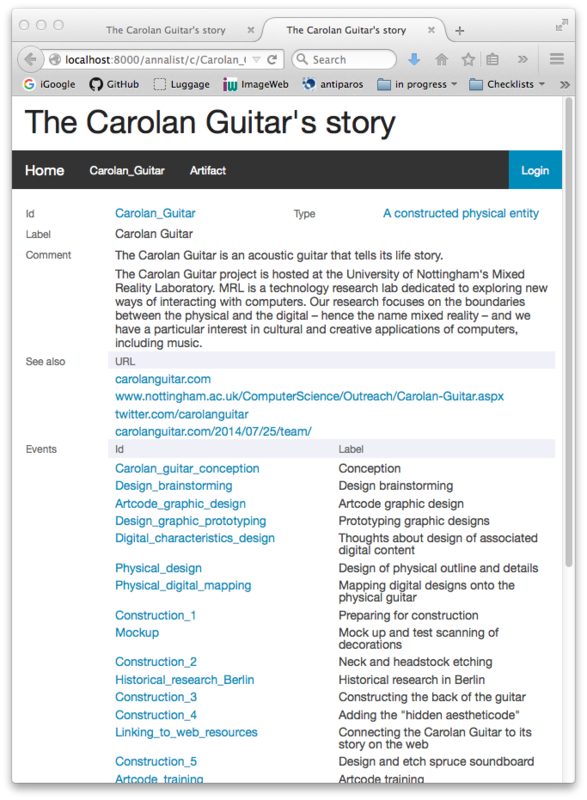 Annalist has also been used to create a linked data model for describing creative workflows, based on the PhD work of Iris Garrelfs at UAL. Graham Klyne, Cerys Willoughby and Kevin Page. Annalist: A practical tool for creating, managing and sharing evolving linked data}, to be presented at the Linked Data Workshop or the 2016 World Wide Web conference in Montreal (LDoW 2016).